You may have a great presence on Twitter, Facebook, LinkedIn, and the like. You may have a blog on which you post regular evergreen, how-to, and news content. And you may even have a fully optimized homepage. But, if you're not hitting the mark with your email campaigns, you've still got some work to do. Some marketers may not see email marketing as that important anymore, given all of the other inbound outlets at their disposal. But remember this: Marketers' data studied for our 2013 State of Inbound Marketing report found 13% of their leads came from email marketing -- a figure far too high for marketers to ignore. One area some inbound marketers are struggling with in their campaigns is failing to retain their subscriber base. The key to fixing this problem? Focus on the "why" and the "how": Why are people unsubscribing, and how can we keep them from doing so? So, I've outlined several of the most common reasons you may be experiencing a spike in unsubscribes among your opt-in email list -- and how you can get those subscribers to stay engaged in your emails. 1) You're sending too many emails! According to data from Chadwick Martin Bailey, the top reason people opt out of email marketing is simply that they receive too many emails. Part of the inbound methodology is not only sending the right content to your lists, but also sending it at the appropriate times and intervals. Bombarding subscribers is a surefire way to get them to opt out and could even potentially deter many of them from doing business with you in the future (meaning your brand's reputation and your bottom line is at stake). Do some in-depth A/B testing to determine what exactly is the right quantity of emails to be sending your subscribers each day, week, and month -- not too much, not too few, but just the right amount (Goldilocks FTW). If you need help determining this frequency, this blog post walks you through a testing methodology to get you started. Yep, there are actually people who, once upon a time, decided to subscribe to your newsletters, offer emails, or some other email type -- and guess what? They may not even remember you the next time you send something to them. Why? Simply because (as outlined above) they haven't received an email from you in, let's see now (carry the one, add the two) ... well, a long, long time. The solution to this issue is clear: Ease back into sending emails to your subscriber base by reintroducing yourself, in a way. For example, if they signed up to receive a monthly newsletter and you haven't sent one out in several months, relay the latest goings-on with your company, your newest products and/or services, special deals or discounts your business offers, and other info that can remind them exactly why they signed up to get email updates from you regularly. It also wouldn't hurt to add in a mention that it has, indeed, been a while since you've chatted -- and if they'd like to adjust that, they can do so by changing their subscription settings. 3) Your emails are boring. 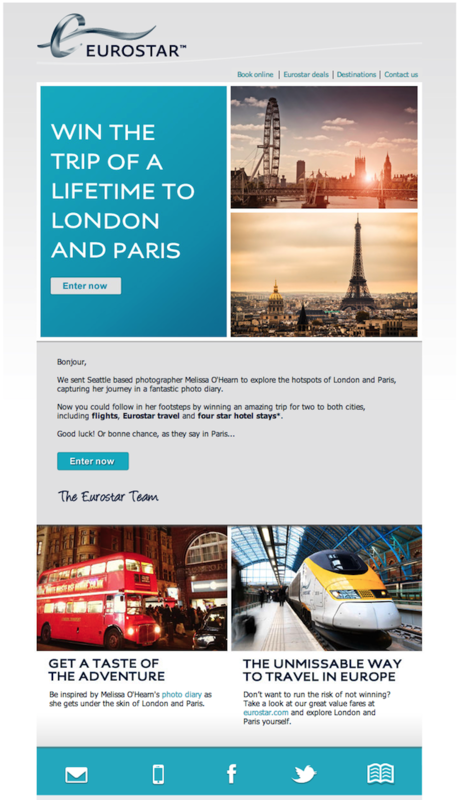 If you'd like more examples of top-notch email marketing content, you can find them in this blog post. 4) Your recipients opted in for one email, not multiple. If you have confusing sign-up forms on various pages of your site, your subscribers could end up pretty unhappy that they're ... well .... subscribed at all. It's not uncommon for site visitors to sign up for what they think will be a one-off email and then end up on a company's list, all because the form lingo was unclear. That means it's vital to take the time when creating forms to ensure you're as clear as possible so you only sign up the people who actually want to receive your emails. 5) Your emails aren't personalized and customized. "We can just send the same email to everyone on our list. 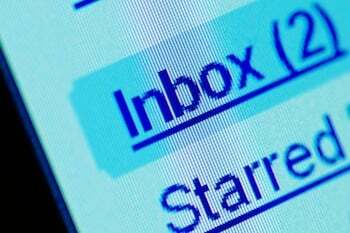 It's more efficient that crafting new email copy." I know this isn't something you've been saying to yourself, right? By now, you've got this inbound thing down pat, meaning you know that the key to improving that clickthrough rate on your emails -- and to get people actively visiting your site -- is to personalize and customize your emails. Got a first-timer signing up for a subscription? Perhaps you can send them a transactional email, thank them for signing up, and give them a glimpse as to what they can expect to receive in their inboxes moving forward. Have a subscriber that's a qualified lead and seemingly ready to buy? Send them an email with the most applicable product or service offering for them -- or have the right sales rep send them a personal message and take them out of their nurturing workflow. It's these personal touches that are the difference between satisfied subscribers and ones who go straight to the bottom of your email so they can opt out for good. 6) You're not sending mobile-optimized emails. It's pretty easy to recognize that emails on computers look different than they do on smartphones. And as Litmus data shows, roughly 48% of all emails are now opened on mobile devices. So, if your emails aren't being optimized for smartphones and tablets, you're gonna wanna start doing so, like, today. As outlined in this Inbound Hub post, to optimize your emails for mobile, you'll need to adjust your image and text sizes accordingly based on the devices your subscribers use to read your emails. 7) You're not listening to feedback from your readers. Though some marketers will say email marketing is a one-way street, that couldn't be further from the truth. While many (probably most) of your subscriber base won't email you to say what they do and don't like about the emails they receive from you, you can still reach out to them, gather their thoughts, ask for suggestions, and, in general, open up a line of communication with them. The benefits of reaching out? You can use all of this info collected to better your campaigns -- specifically, provide more personalized and useful content and offers -- which can keep subscribers who are on the fence about unsubscribing from doing so. As the old adage goes, ask and you shall receive. What alterations do you think you could make to your email marketing to keep people from unsubscribing?